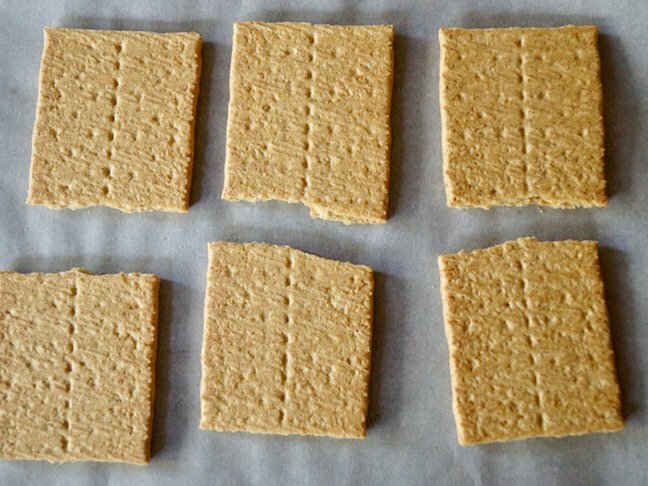 Step 2: Break each whole graham cracker in half, and place them on a large plate or baking sheet. 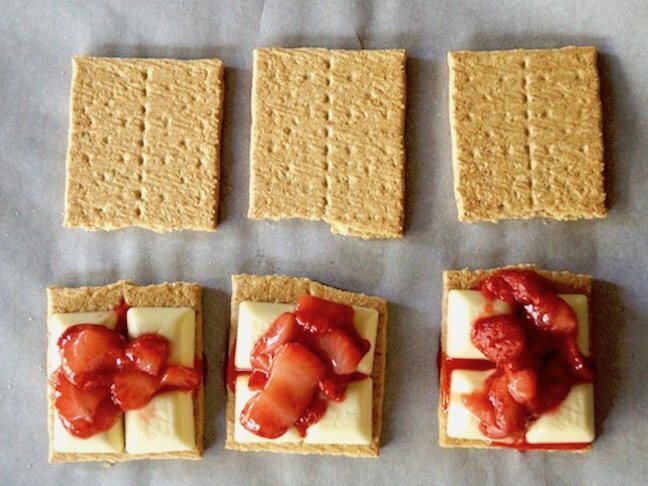 Step 3: Place about 4 squares of the white chocolate on half of the graham cracker halves. 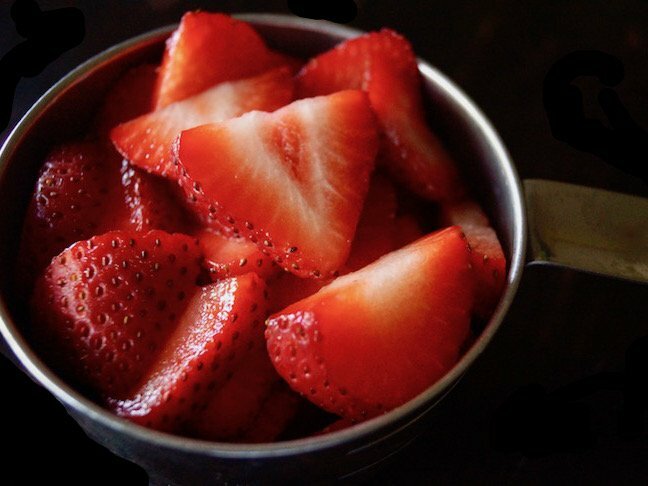 Then use a slotted spoon to equally divide the cooled strawberries on top of the white chocolate. 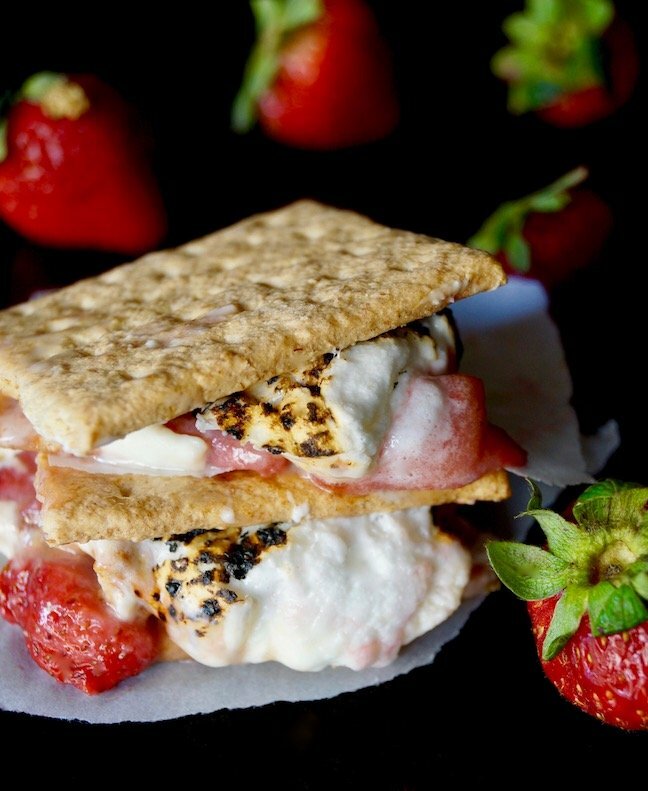 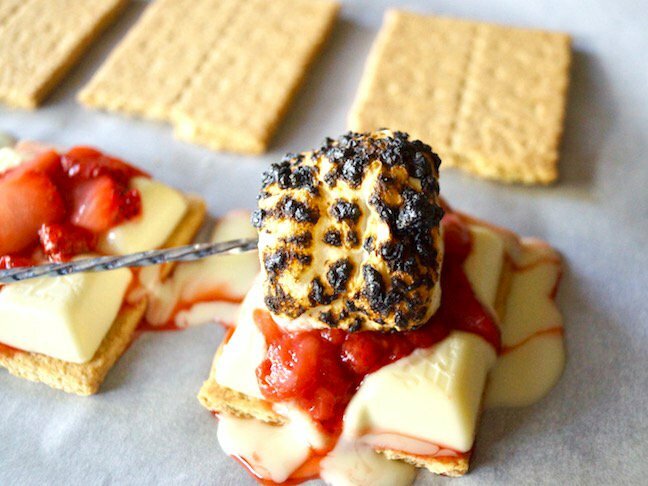 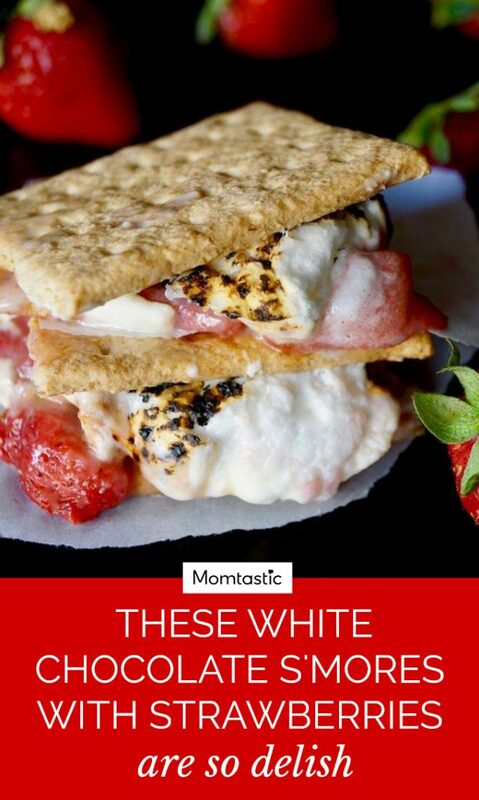 Step 5: Then place a roasted marshmallow on top of the strawberries. 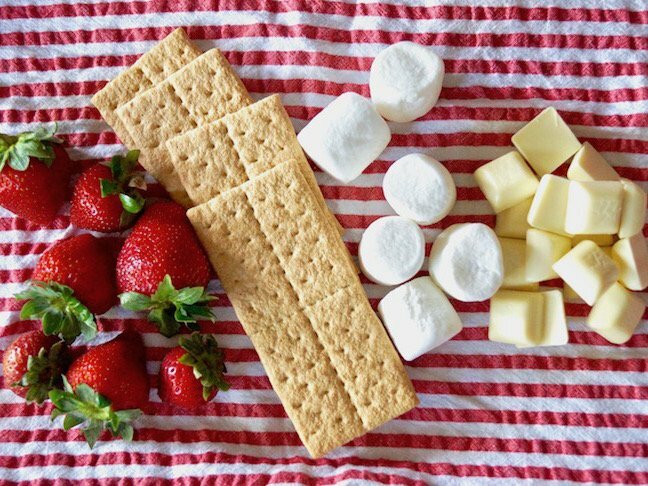 Step 6: Close each s'more with the remaining graham cracker halves and serve!